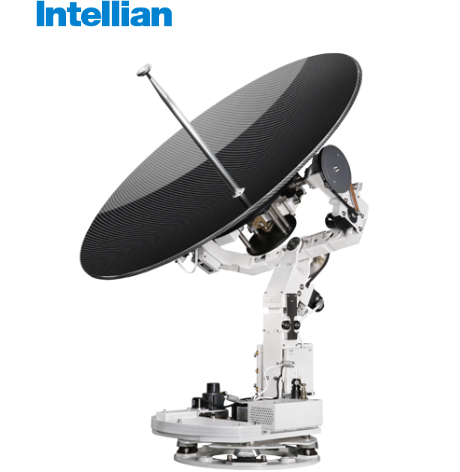 The VSAT Intellian V-Series is a v100GX , 1 meter KU-BAND to KA-Band convertible Maritime Stabilized antenna. The ACU is the next generation rack mounted design which incorporates all the latest features and software. A WiFi access point is built into the ACU which enables onboard wireless connection to the antenna system. The Intellian APTUS software allows for remote diagnosis should a software or a change to the already built-in Satellite Library require updates. The Antenna Radom is specially constructed of Carbon Fiber material and is tuned for the best low loss performance. The Antenna system also offers Elevational very low angle performance down to -20 Deg, for operations while visiting the very High Latitudes of the world..